Poncelet Part II: Poncelet Cheese Bar — Nom Voyage! This is the second part of a two part saga of cheese, which began at Poncelet's cheese shop, Punto Selecto during my recent visit to Madrid. 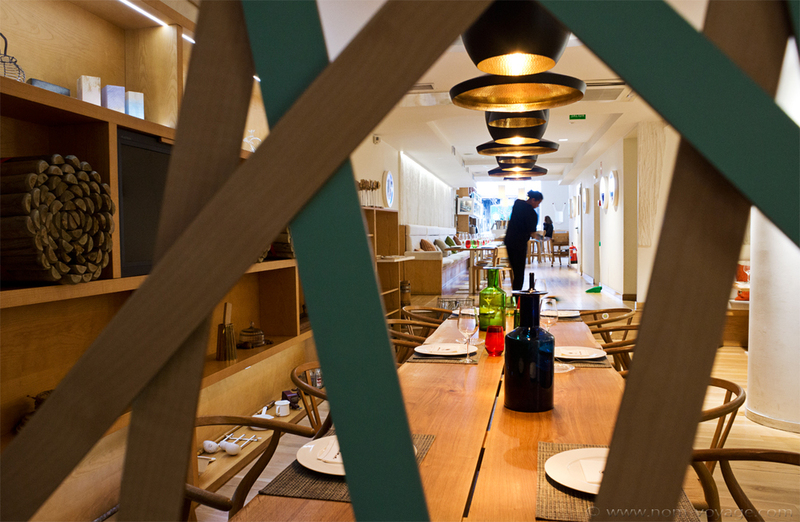 Today we're going to be focusing on one of Poncelet's two restaurants, the Madrid Cheese Bar. The Cheese Bar is located on Calle José Abascal 61, close to the Gregorio Marañón metro stop on the 7 or 10 line. 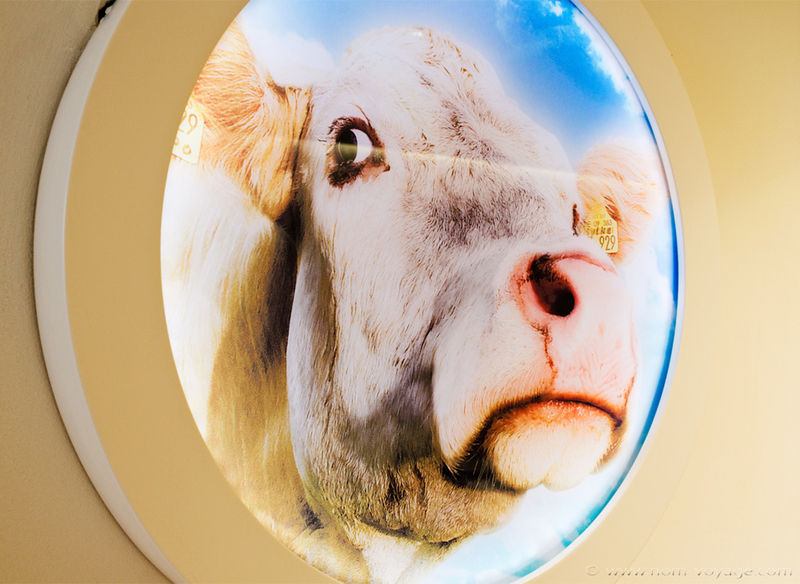 Several years after the opening of the cheese shop, the Cheese Bar was brought to life as part of Poncelet's concept to spread the culture of quality artisan cheese among the masses. The design of the Cheese Bar is light and minimalist, with lots of natural wood, a large vertical garden in the back room, and small splashes of color on the walls and tables. The windows in the storefront let lots of natural light into the bar up front, while the combination of the vertical garden and comfortable natural lighting in the back makes it seem as though you're on an outdoor patio (minus the sun in the eyes). Vitor, the manager of the Cheese Bar, told me that they designed the back room above to look like the underside of a cow - the cylindrical white pillars are supposed to be its legs and the upside-down truncated cones are its udders. 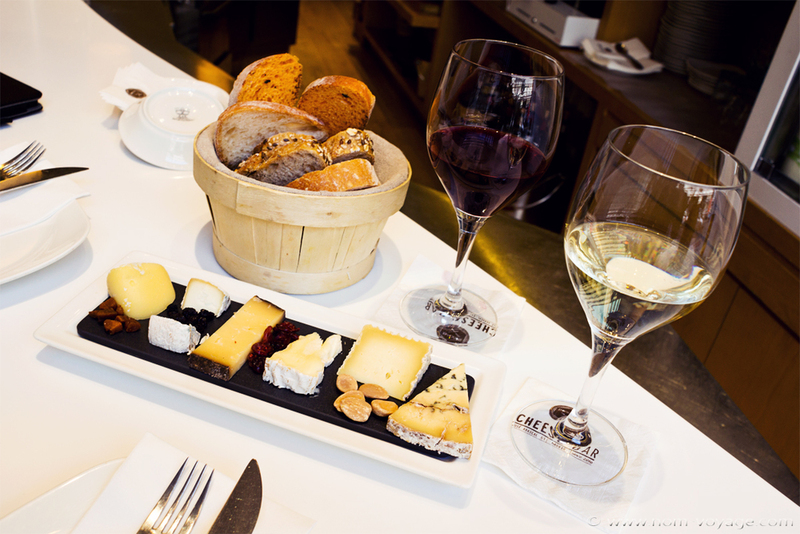 In addition to the vast and wonderful selection of cheeses, the Cheese Bar also has an extensive wine and beer list and a huge menu of appetizers and entrees. There were varietals I'd never heard of before and we both had an opportunity to try some Spanish wines that were completely new to us (and went well with the cheese!). We decided to go with the cheese sampler selected by the chef and smoked salmon crostini. Our server brought the cheese selections out on a movable island and cut and plated them along with their dried fruit pairings in front of us. The cheeses were arranged beginning with the most mild down passed the creamy Camembert to the pungent French bleu cheese. All were European, except for the third which was from Utah. It had a texture similar to Gouda, but with the unusual but wonderful flavor of coffee. The selection of bread for spreading was wonderful as well, with several varieties of soft, fresh whole grain slices. Visiting Poncelet's Cheese Shop and Cheese Bar was a fantastic experience. It was wonderful to have had the opportunity to photograph inside both of these beautiful spaces and to taste just a few of Poncelet's many artisan cheeses. I'm keeping my fingers crossed that if Poncelet ever decides to expand on an international scale, that they bring their lovely aesthetic and quality cheeses across the peninsula to Portugal. Thanks ever so much to the staff at Poncelet for making this happen!